Home / News / One more sale of Xiaomi from December 19, will be available on these products. One more sale of Xiaomi from December 19, will be available on these products. Xiaomi is going to hold another cell for its fans before the end of 2018. Shomei's "No.1 Mi Fan Sale" will begin on December 19 and will run till December 21. In this cell, many Shoemi smartphones, including Xiaomi Redmi Y2, Mi A2 and Redmi Note 5 Pro, will be sold cheaply. In addition, Tea and accessories of Shaomi will also be available at discount during the Fan Sale. For this cell, Xiaomi has partnered with Google, MobiKwik and Paytm. Apart from this, the Redmi Note 5 Pro handset will be available at the initial price of Rs. 12,999 in this cell of Chemoi. Xiaomi has partnered with Petmi for Redmi Y2, Radmi Note 6 Pro, Mi A2, Poco F1, Redmi 6, Redmi 6A, Redmi 6 Pro and Redmi Note 5 Pro. These handsets will get a cashback of 300 bucks. In addition to the Xiaomi smartphone, several Mi TV models will also be available in the cheap in No.1 Mi Fan Sale. The Mi TV 4A Pro 49 television set will be available at Rs 30,999, while the Mi TV 4C Pro 32 Television is priced at Rs 14,999. Mi TV 4A 43 will be sold in SAIL for Rs 21,999. 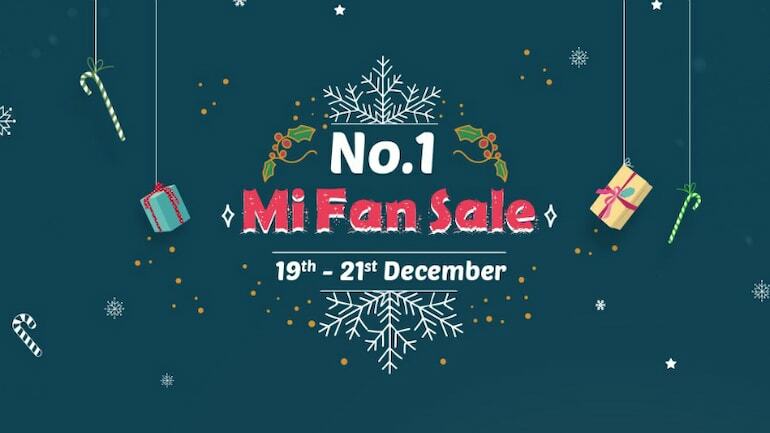 The Mi Body Composition Scale will be sold for Rs 1,799 in the Mi Fan Sale, which starts on December 19. This scale was launched in March for Rs 1,999. Looking at Christmas, Xiaomi will also make its Poco F1, Redmi Note 6 Pro and Redmi Note 5 Pro available in red.